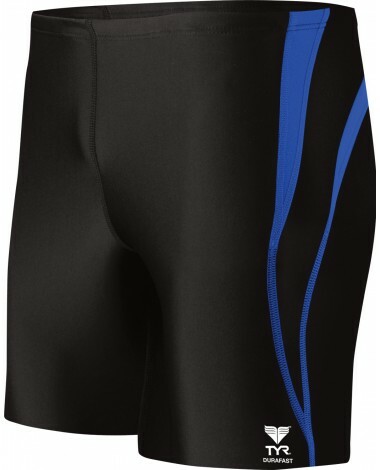 Durability knows no limits with the Men's Durafast Splice Square Leg Swimsuit. The SPQP7A swimsuit is made with 100% polyester and is 20 times longer lasting than traditional swimwear; you can be sure the fit won’t sag and the color won’t fade in the sun or chlorine. Boasting four way stretch technology and UPF 50+, this Durafast swimsuit provides excellent freedom of movement and sun protection. Featuring a 3" inseam, a fitted boxer cut and adjustable drawcord waist, TYR Square Leg swimsuits are perfect for athletes who want medium coverage that won’t weigh them down. Choose from an array of fashionable color combos and splice up your life! 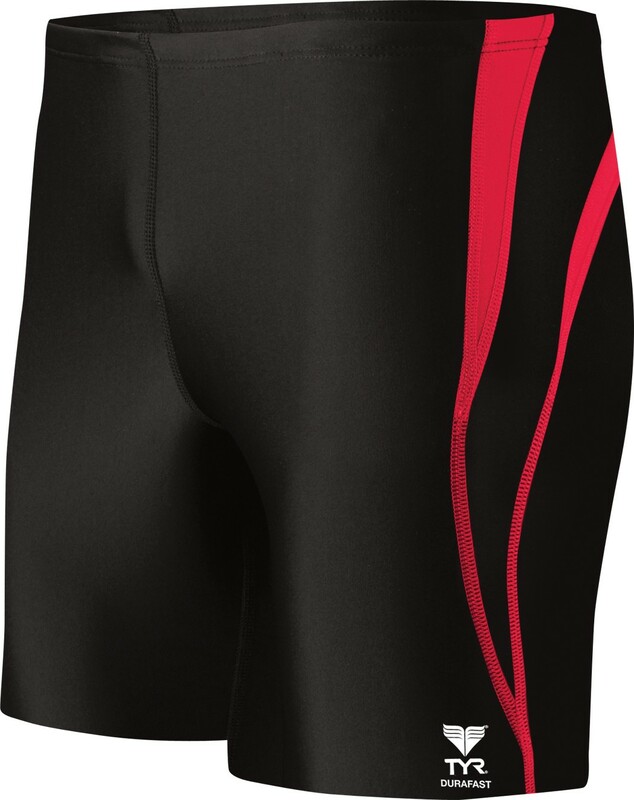 HAVE OTHER TOP BRANDS BUT NONE MATCH THE COMFORT AND QUALITY OF TYR. My son is stocky and the hammers were just too long for him in the size we needed. I found these and they fit great. had to return it, too short. why don't you make a swim trunk that is half way down the thigh? right now there is only this short one (about 2 inch inseam) or the jammer, which reaches the knee. and why don't you put the inseam measurement on line? Nice suit, good quality. Need more colors. In comparison, a square leg swimsuit will fit differently as it is more compressive and features a 3-Inch inseam. If laid flat and compared to a trainer, the leg is roughly twice as long. Q: What is the composition of the liner and is it a full liner? A: The inseam measurement is roughly 3-Inches for all sizes. Q: Can you give me the actual inseam length? These look a little longer than typical which is great.